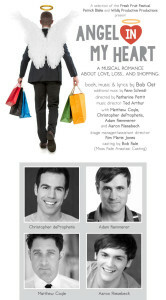 Angel In My Heart is a musical romance about love, loss in the pre-cocktail era of AIDS. A young widowed writer, Keith, portrayed By Adam Kemmerer is bewildered to find himself relentlessly pursued by a handsome co-worker. Neither realizes that it is the writer’s deceased lover who is touching both of their hearts. 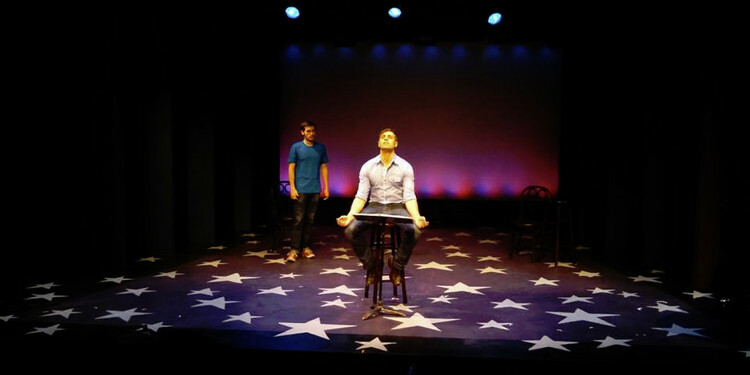 Angel In My Heart won the Fresh Fruit Festival and was picked up by The York Theatre for a limited engagement run in November 2014.